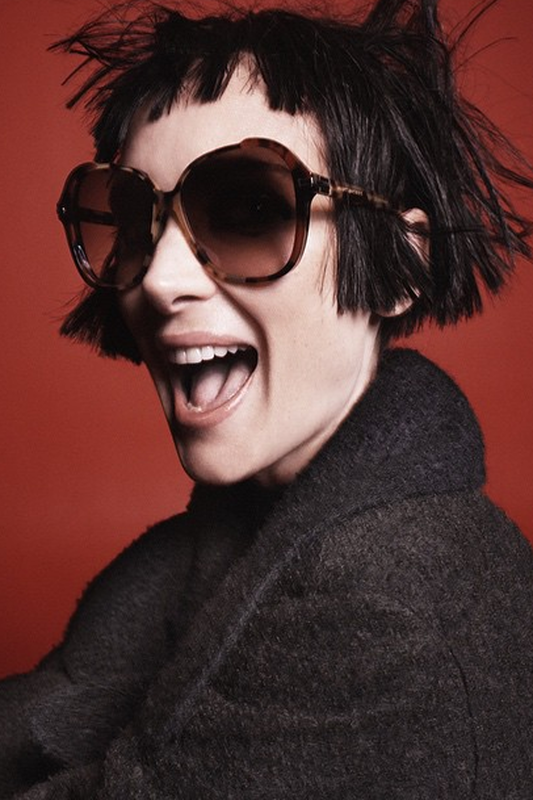 As if his major Cher reveal wasn’t enough to get our hearts racing, Marc Jacobs is on a mission to keep surprising and this time he’s revealed the ultimate ’90s muse…Winona Ryder. Jacobs chose to reveal the latest face for his autumn winter 2015 campaign via his Instagram account and, boy, does Winona look good. Unique is most definitely the word: Ryder looks sensational with a striking Amélie-inspired bob staring wistfully as she perches halfway up a step ladder. You could say that Marc and Winona have forged an unbreakable bond over the years. Who could forget when the Hollywood actress rocked up to her shoplifting trial in 2003 wearing a demure Marc Jacobs dress? The designer returned the favour when he subsequently cast her in his Spring Summer 2003 Juergen Teller campaign. Although Winona has proved herself to be fairly incognito of late, this year seems set to see the return of one of our ’90s icon. Not only does this summer mark the 25th anniversary of Tim Burton’s heartbreaking gothic fable ‘Edward Scissorhands’, rumour has it she has even been cast in a new supernatural HBO series ‘Montauk’. Could Winona follow in Matthew McConaughey’s footsteps and create a little Rydernaissance of her own? If these pics are anything to go by, it looks likely. Welcome back, Ryder.